On Tuesday, March 12, Phoenicians headed to polls and elected a new Mayor for the City of Phoenix. 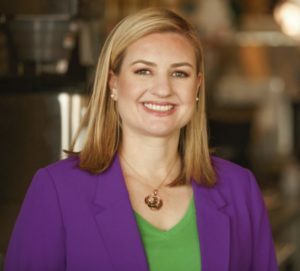 With close to 95,000 votes, Mayor Kate Gallego secured her role as Phoenix’s next Mayor. She took the oath of office in front of city council, her family and friends, and members of the public on March 21. Mayor Gallego, a former city council member, and long-time community activist walked the walk during her campaign and showed her commitment to moving Phoenix forward. During her time on city council, she showcased her expertise and dynamic perspective to problem-solving, and that perspective will be vital to our city’s success and prosperity in the coming years. From her steadfast focus on business retention and expansion to her commitment to economic development projects—such as the Arizona Biomedical Corridor and the South Central Light Rail project—the Mayor is clearly dedicated to helping grow Phoenix’s economy from within. Over the years, we’ve worked with Mayor Gallego to help businesses prosper. I remember the time and effort she expended to help us with our economic development initiative. During the launch and implementation of Phoenix Forward, she met with our leadership team and provided valuable insights directly related to her council district. Her commitment to help our organization support local businesses and to work directly with those businesses herself speaks volumes about how she will govern as Mayor of the country’s fifth largest city. With our focus on businesses of all sizes, it’s vital that our city leaders are able to think creatively and offer solutions to businesses looking to expand and create new job opportunities for the people of our community. Her history in Phoenix tells us that she will do just that. As Mayor Gallego prepares to lead our city forward, I will support her efforts to bolster our economic prosperity and forge pathways for innovative business solutions to the biggest challenges facing our city.